Product #17926 | SKU GP-S-2PTX | 0.0 (no ratings yet) Thanks for your rating! 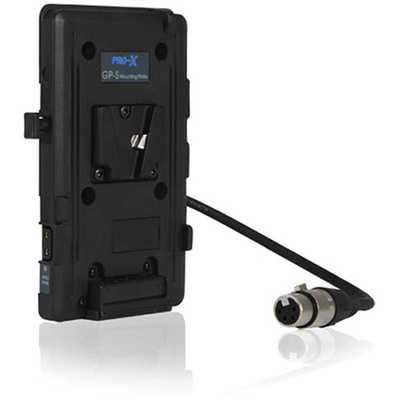 The Switronix GP-S-2PTX V-Type Mount Plate for Sony F3 is a plate designed for use with the Sony PMW-F3. It has 2x P-Tap outputs, enabling you to power accessories like lights or monitors, as well as a 12" (30.48 cm) 4-Pin XLR Female connection.